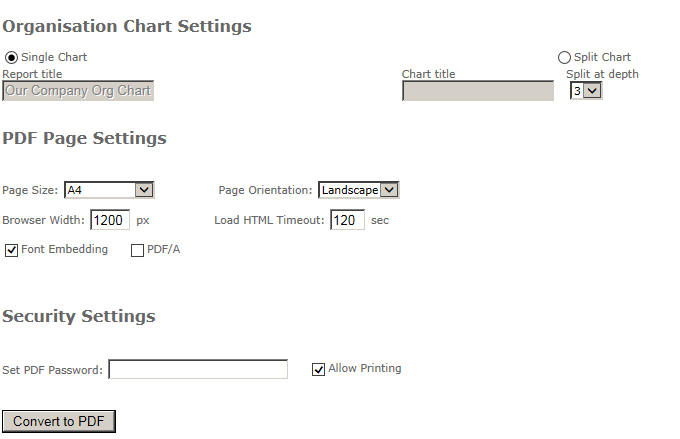 To start the page author must enable the Show Print Button and Print to PDF options that are located in the Printing configuration section. 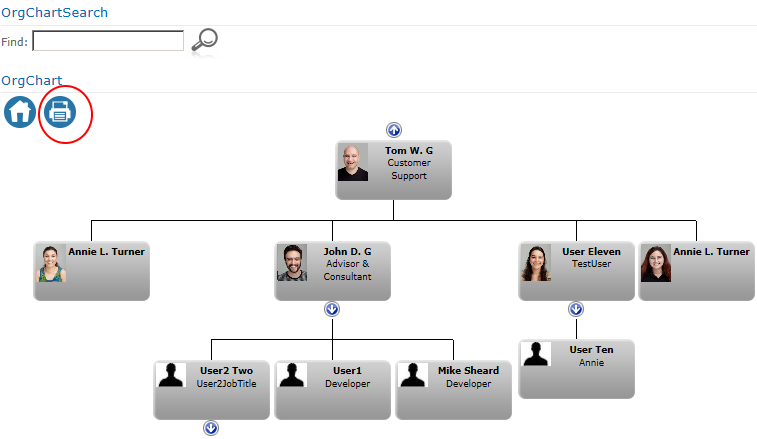 The author is also able to define a title for the chart or to allow end-users to set a specific title on printing. Once the end user has navigated to the position in the chart from which they wish to print they click the print icon ( circled ). Setting Page Size, Orientation and Security. The Print to PDF options will open. 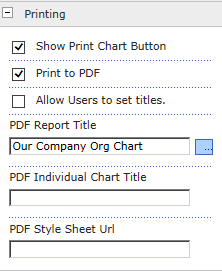 This allows the end user to set various options such as page size and orientation, whether they wish to split the chart across multiple pages and allows a password to be specified that restricts the opening of the PDF. Once the page user has selected the appropriate settings clicking the Convert to PDF button downloads the PDF file to the browser. This PDF was generated from the chart above.